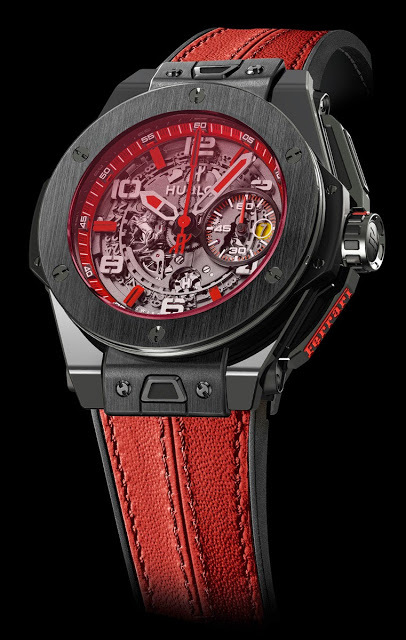 Hublot has just announced the Big Bang Ferrari Singapore Limited Edition, created for retailer The Hour Glass. A nod to both the Singapore flag and Ferrari’s trademark colour, the Hublot Big Bang Singapore Edition has a predominantly red colour scheme. It has a red tinted sapphire crystal as well as red accents, with a black ceramic case and bezel. Inside is the flyback UNICO movement with the column wheel visible underneath the dial. 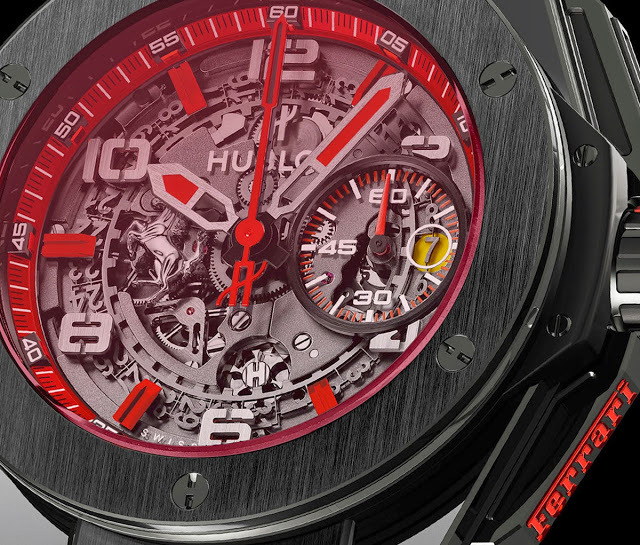 This watch is a variation of the Big Bang Ferrari announced last year, which inaugurated the partnership between Hublot and the Italian car maker. More recently Hublot announced the incredibly exotic Masterpiece MP-05 LeFerrari at Baselworld 2013. The official launch of the Big Bang Ferrari Singapore Edition will take place at the The Hour Glass’ pop-up store in Paragon’s main atrium on September 18, just a few days before the Formula 1 2013 Singapore Grand Prix.